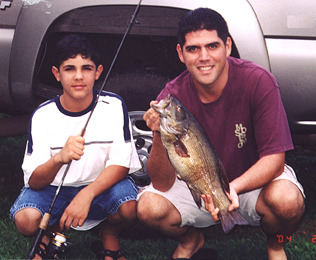 Chad Boteilho was fishing at his secret bass location when he hooked a monster-sized smallmouth bass. He was using a 7-foot Shimano rod and a Penn 4500 spinning reel loaded with 8-lb test line when he hooked the fish in about 5 feet of water. Chad's 4.98-lb smallie broke the previous state record by 13 ounces!